Monday-Thursday: $219 for 15 children, each additional child is $10. The party is 2 hours long (1 hour and 15 minutes in the play area followed by 45 minutes in the party room). Open facility during party, but the Party Room will be yours only! 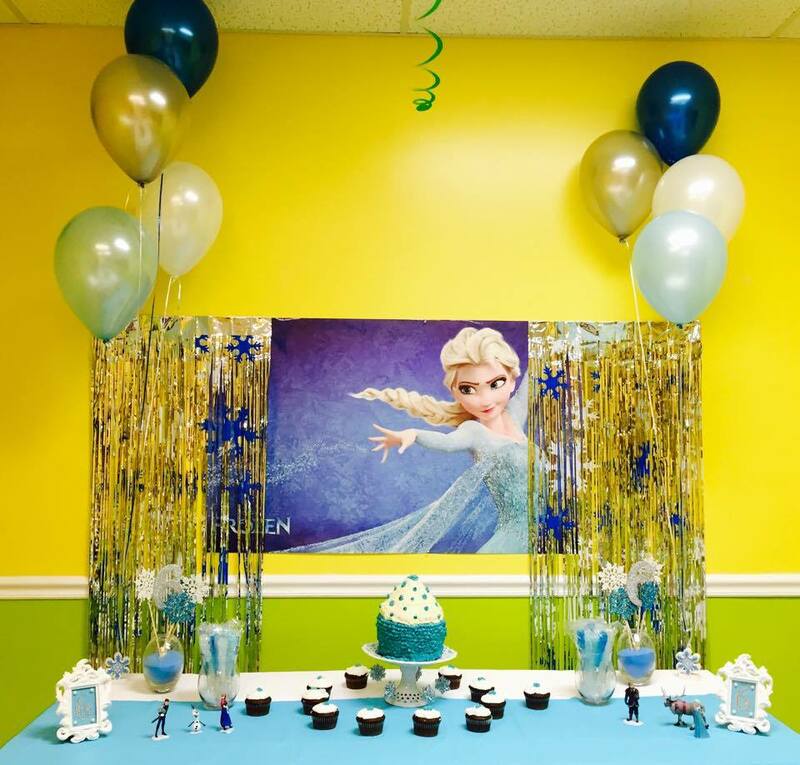 Please come visit us to book your party today or give us a call at 571-918-4039 for more information! 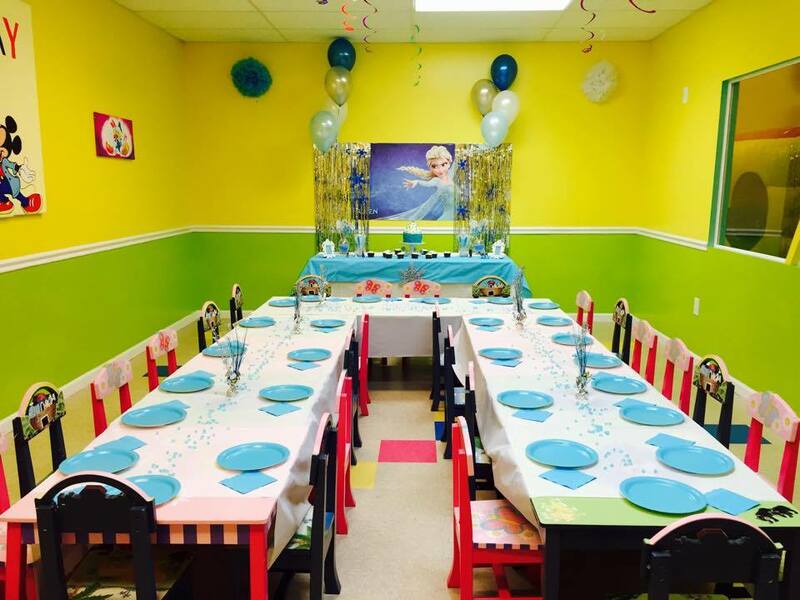 Friday, Saturday and Sunday (Small party room) : $249 for 10 children, each additional child is $10 with a maximum of 15 children. 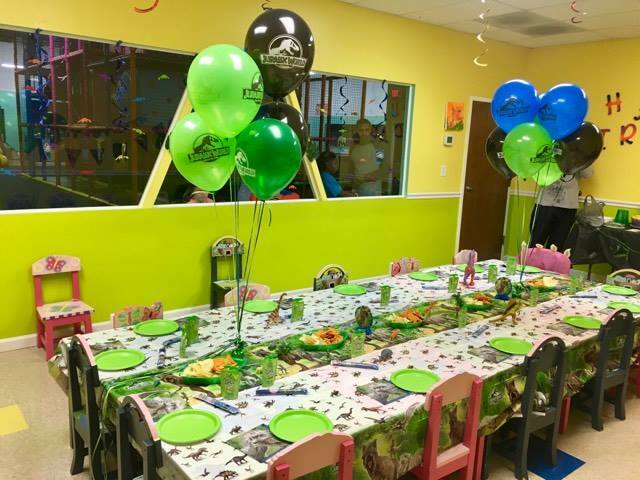 The party is 2 hours long (1 hour and 15 minutes in the play area followed by 45 minutes in the party room). Open facility during party, but the Party Room will be yours only! Birthday child receives 1 FREE entry for a future visit. 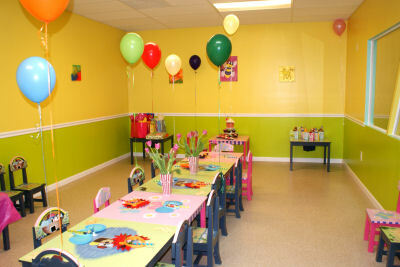 Friday, Saturday and Sunday (Big party room) : $319 for 15 children, each additional child is $10. The party is 2 hours long (1 hour and 15 minutes in the play area followed by 45 minutes in the party room). Open facility during party, but the Party Room will be yours only! Birthday child receives 1 FREE entry for a future visit. Attention: Friday, Saturday, Sunday Party price applies to all parties booked on Holidays or any School Holidays. If there is a Holiday during Monday-Thursday, the weekend party price applies. 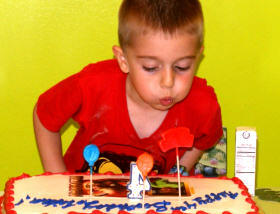 Private Party Friday, Saturday and Sunday (5:30 pm -7:30 pm)– $479 for 20 children, each additional child is $10. The party is 2 hours long (1 hour and 15 minutes in the play area followed by 45 minutes in the party room). You will have the entire play area for your party. Birthday child receives 2 FREE entries for future visits. The Ultimate Private Party Friday, Saturday and Sunday (5:30 pm – 8:00 pm) – $579 for 25 children, each additional child is $10. 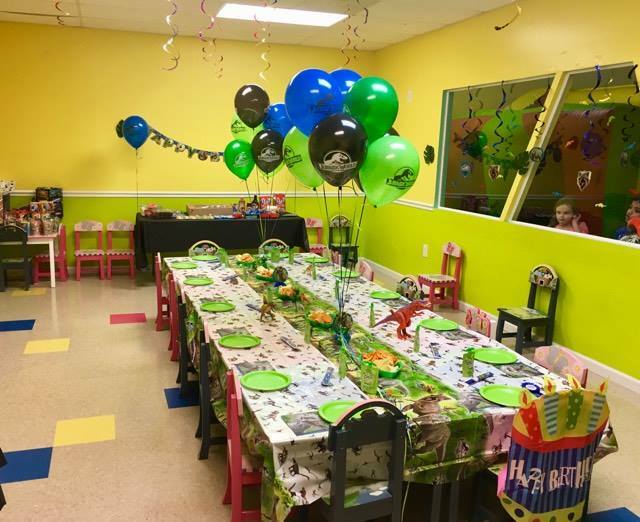 The party is 2 hours and 30 minutes long (1 hour and 45 minutes in the play area followed by 45 minutes in the party room). You will have the entire play area for your party. Birthday child receives 3 FREE entries for future visits. We will provide a juice box, a can of soda and a bottle of water for every child. Additional drinks may be purchased at the front desk. Non-themed paper plates, napkins, utensils, and cups are provided for all guests. Pizza is available and may be ordered through Kidz Plaza. Parents supply cake or cupcakes. All party date/time change requests must be made in writing. Your date/time change request will not be confirmed until you receive an email confirmation from Kidz Plaza.